“A great many of our friends are here today because they were fired at by German gas shells, which inflicted minor injuries upon them. Had it been high-explosive shell, they would in all human probability have been killed. The whole business of war is beyond all words horrible, and the nations are filled with the deepest loathing of it, but if wars are going to take place, it is by no means certain that the introduction of chemical warfare is bound to make them more horrible than they have been.” —WSC, 1932. The uproar over use of chemical weapons in Syria led the world’s media to Winston Churchill. Reports have circulated to the effect that Britain and Churchill were no different from Syria in 2013: that Churchill favored and/or used “poison gas” from World War I through World War II, notably on the Indians and Bolsheviks in 1919, and the Iraqis in the 1920s. What’s more, he wanted to “drench” German cities with gas in 1943. Historians from Sir Martin Gilbert forward have covered Churchill and poison gas so often in the past that one is surprised the subject still raises controversy. No doubt the shock value is high, given recent events. Having regard to the fact that [the India Office] are retaining all our men, even those who are most entitled to demobilisation, we cannot in any circumstances acquiesce in the non-utilisation of any weapons which are available to procure a speedy termination of the disorder which prevails on the frontier. Virtually always absent from quotes alleging Churchill’s penchant for gas is the first paragraph above. It testifies that Churchill was thinking more broadly, and more humanely, than most: He was thinking of sparing serving soldiers, most of them not volunteers, from ugly deaths by the most barbarous methods. The issue of gas came up again after Britain had occupied Mesopotamia, part of the old Ottoman Empire, and was trying to restore order and establish a state, later Iraq—“nation building,” we might call it today. (Britain was not securing her oil supply, which had already been achieved elsewhere. Churchill actually considered “Messpot,” as he called it, a huge waste of money). In the event, gas of any kind was not used in India or Iraq. If Churchill planned, or even countenanced, dropping such a weapon on Russian villages, even for three days, he is certainly culpable, assuming he actually understood the horrific nature of the device. It would be the only case where he advocated the use of lethal gas on civil populations, rather than on the battlefield. Anyone who believes that Churchill was an enthusiast of lethal gas must produce better evidence than we have seen so far—and some acceptable explanation for the many instances when, faced with its possible use, Churchill and his commanders demurred. Truly, they thought on higher moral planes than those who used poison gas in Syria. 1 “The Growing Menace of Chemical War,” Woods Hole Oceanographic Institution, Chris Reddy, April 2, 2007, cited at http://bit.ly/15pDuRq. 2 WSC, minute from the War Office, 12 May 1919, in Martin Gilbert, ed., Winston S. Churchill, Document Volume 8: War and Aftermath, December 1916-June 1919 (Hillsdale: Hillsdale College Press, 2008), 649. 5 “Churchill and Bombing Policy,” Martin Gilbert, Fifth Churchill Lecture, Washington, D.C., 18 October 2005, http://xrl.us/bgy3j2. 6 WSC to Sir Hugh Trenchard, 29 August 1920, in Martin Gilbert, ed., Winston S. Churchill, Document Volume 9: Disruption and Chaos, July 1919-March 1921 (Hillsdale: Hillsdale College Press, 2008), 1190. 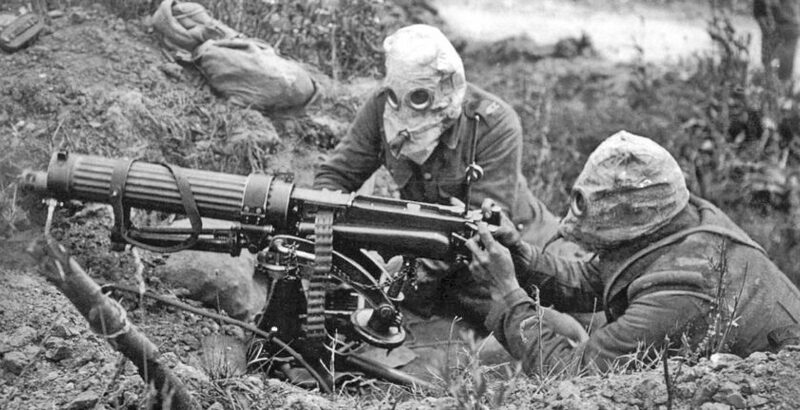 7 “Chemical Weapons in World War I,” Wikipedia, http://bit.ly/15pDuRq. See also “Sulphur Mustard,” Wikipedia, http://bit.ly/15pE8hL. 8 Giles Milton, “Winston Churchill’s Shocking Use of Chemical Weapons,” The Guardian, 1 September 2013, http://xrl.us/bprq4v. 9 Simon Jones, “ ‘The right medicine for the Bolshevist’: British air-dropped chemical weapons in north Russia, 1919,” Imperial War Museum Review 12, (1999): 78-88. 10 War Office to General Officer in Charge Archangel, telegram, 7 February 1919, Public Record Office, in Jones, “The Right Medicine,” 80. 11 Jones, “The Right Medicine,” 83. 12 “The Serving Soldier: Major General Charles Foulkes (1875-1969),” King’s College, London, http://xrl.us/bprrmo. 13 WSC to Chief of Imperial General Staff, 25 January 1919, supplied by Allen Packwood, Churchill Archives Centre, 4 September 2013. 14 “Disarmament Problems,” House of Commons, 13 May 1932, in Winston S. Churchill, Arms and the Covenant (London: Harrap, 1938), 23-24. Richard M. Langworth, ed., Churchill in His Own Words (London: Ebury Press, 2012), 190. 15 Martin Gilbert, Winston S. Churchill, vol. 7, Road to Victory 1941-1945 (Hillsdale, Mich.: Hillsdale College Press, 2013), 352-53. On 20 March 1942, WSC had written Stalin: “His Majesty’s Government will treat any use of this weapon of poison gas against Russia exactly as if it was directed against ourselves.” See Winston S. Churchill, The Hinge of Fate (Boston: Houghton Mifflin, 1950), 329. 17 Martin Gilbert, Churchill: A Life (London: Minerva, 1992), 783. 20 Sir Martin Gilbert to the author; private correspondence, 1993. 21 Winston S. Churchill, The World Crisis, vol. 1, 1911-1915 (London: Thornton Butterworth, 1923), 382. I am grateful to Prof. Antoine Capet for bringing this to my attention. 22 Lady Soames to the author; private correspondence, 2005.